A New Super Smash Bros. Game with New Fighters, Stages, and More! 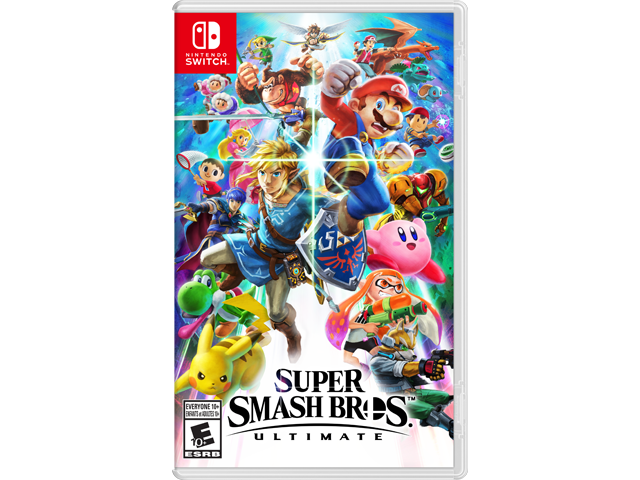 Legendary game worlds and fighters collide in the ultimate showdown—a new entry in the Super Smash Bros. series for the Nintendo Switch system! New fighters, like Inkling from the Splatoon series and Ridley from the Metroid series, make their Super Smash Bros. series debut alongside every Super Smash Bros. fighter in the series…EVER! Faster combat, new items, new attacks, new defensive options, and more will keep the battle raging whether you’re at home or on the go. New fighters, new stages, AND every fighter ever featured in the series…EVER!